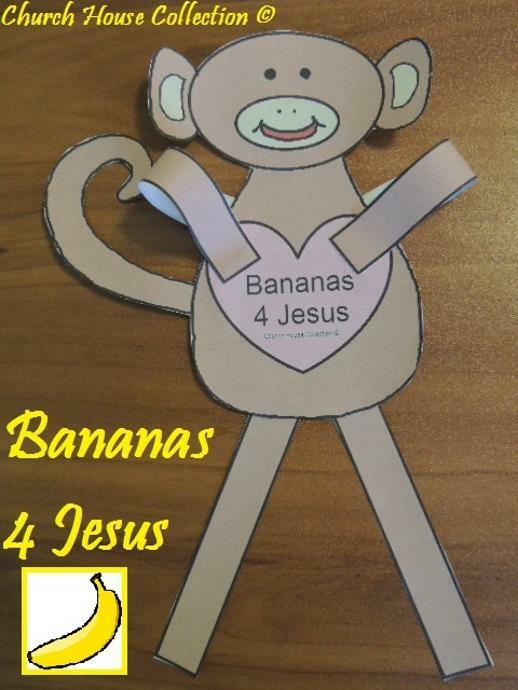 I made two different templates that say "Bananas 4 Jesus" and the other one say's "Bananas 4 You". 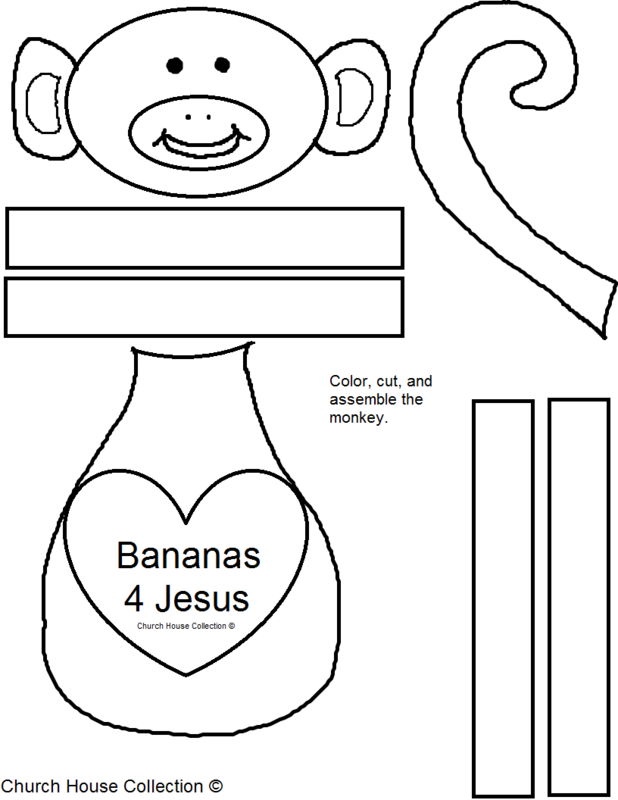 Have the kids color the page and then cut it out. 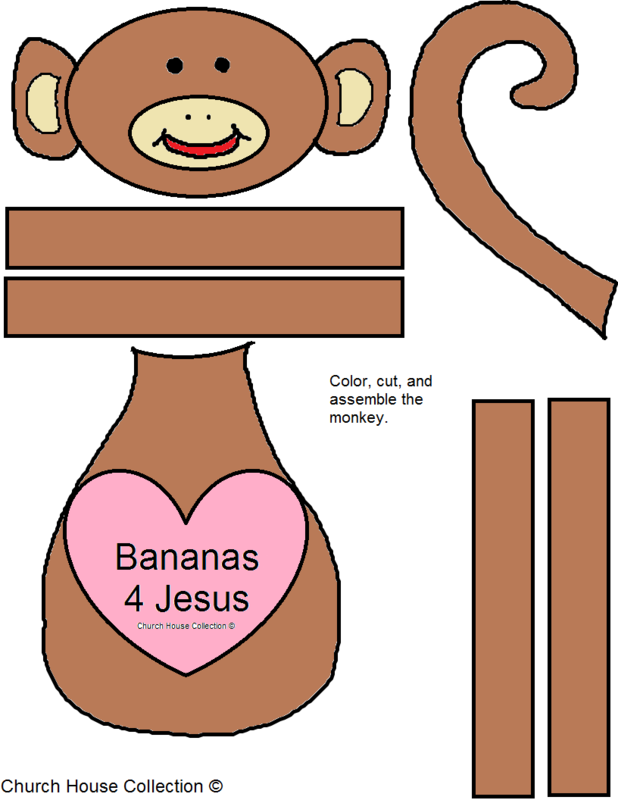 Assemble and tape the monkey together. Tape the head to the body. Tape the tail to behind is body. And tape the legs and arms on. Make sure you fold the arms over like they are holding the heart and tape down. See all of our Valentine's day stuff in Church House Collection which is our main website that has EVERYTHING under the sun in it. Or go back to Valentine's Day Crafts section.